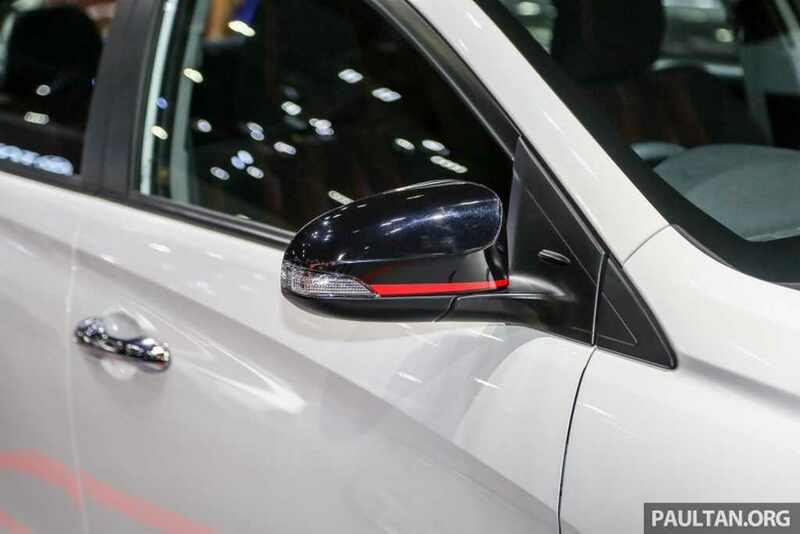 The Toyota Yaris Ativ is latest challenger in the eco car space of the Thai market and in India the Yaris name is used for the upcoming C-segment sedan rivalling against Honda City, Maruti Suzuki Ciaz and Hyundai Verna. With seven first-in-class features to boast about, the Yaris is in for making the competition stronger in its segment. 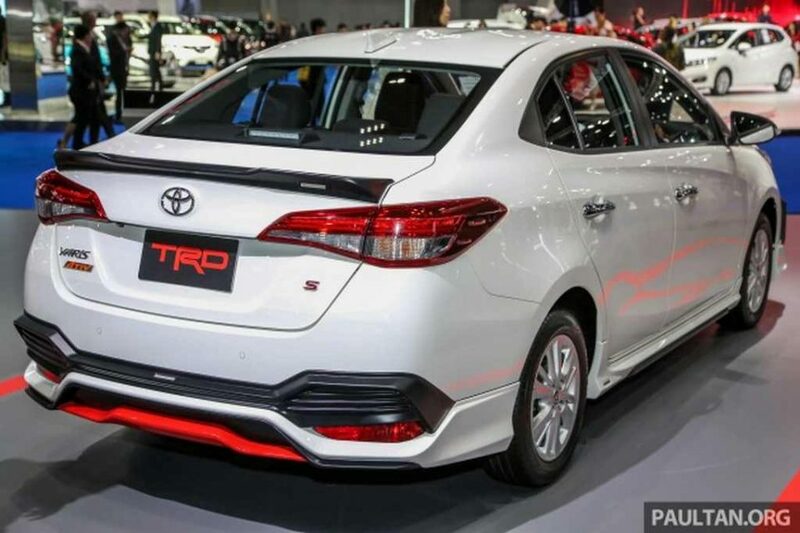 Toyota is using the proven platform of the Yaris (Vios in several markets) to grab a big pie in the popular sedan space and is expected to be priced aggressively as well in India. Despite the Fortuner receiving a TRD sports kit in the domestic market recently, it is extensively utilised on vehicles sold elsewhere. For instance, the Yaris Ativ has been fitted with TRD (Racing Development branded) overalls at the 2018 Bangkok Motor Show and it gives more than just a preview of how the Yaris Ativ TRD will look like when it goes on sale in Thailand. 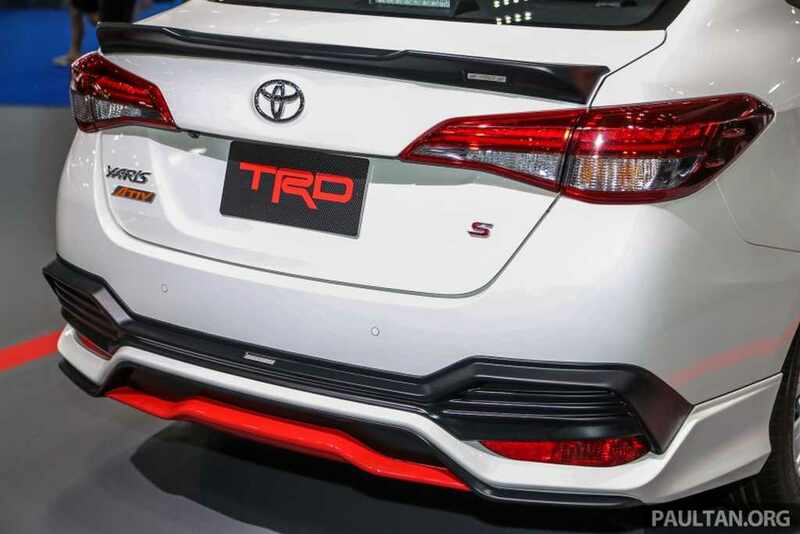 If the Japanese manufacturer decides to pull the trigger on a sporty TRD version for India, you are probably having an early peek at the vehicle here. 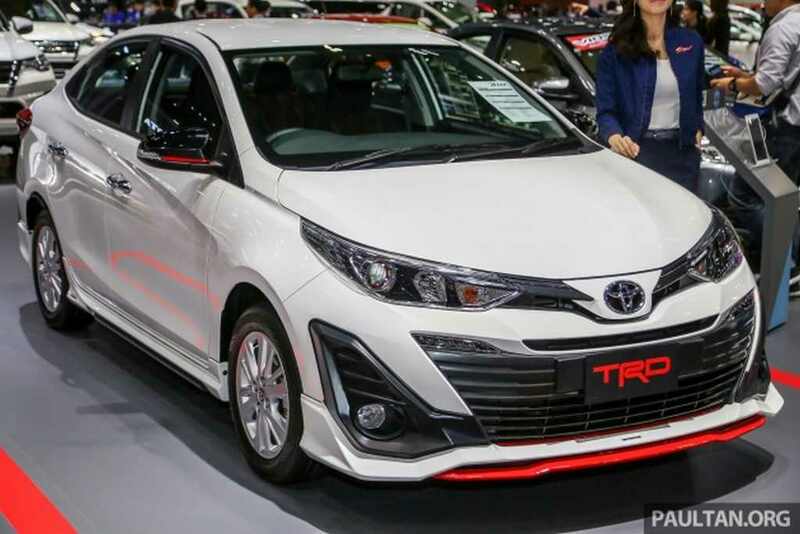 It has been reported that Toyota will only sell the Yaris Ativ TRD in limited numbers for a couple of months, before being available as a separate optional accessory. 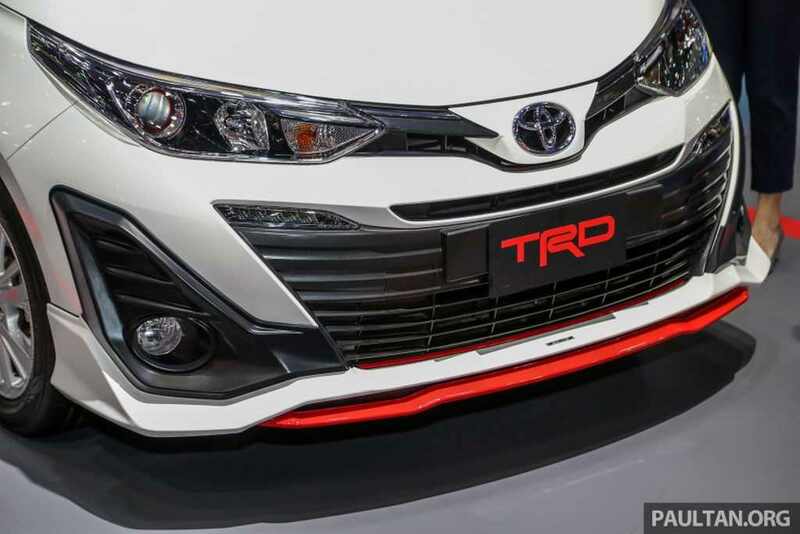 The signature TRD lettering in red colour can be easily seen up front while the sporty front and rear bumpers have lower lip accented in red. The front black bumper area has bigger fog lamp surrounds while the sides have aggressive skirts. Complementing the overall look is the black spoiler at the back as well as glossy black ORVM caps with red stripes and the rear valance is done up in thick red element. 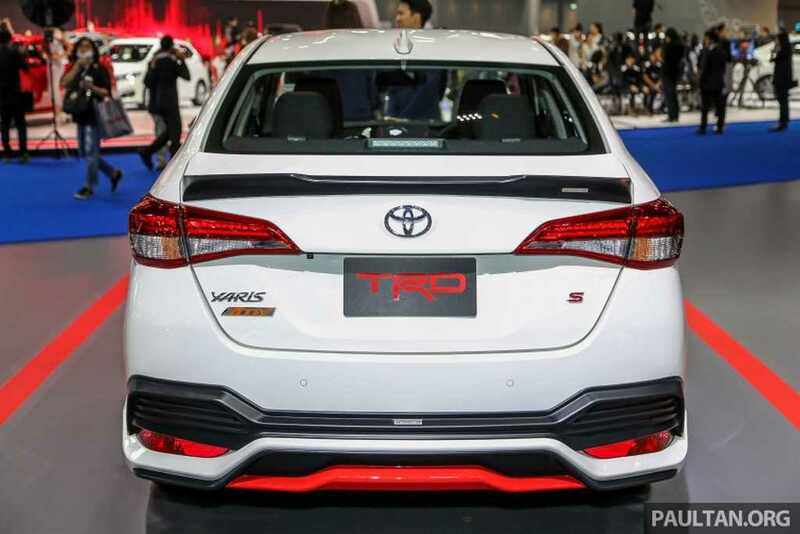 The sporty Yaris Ativ TRD is based on the regular model’s S trims and comes powered by the 3NR-FE 1.2-litre Dual VVT-i four-cylinder engine. It is good enough to produce a maximum power output of 86 PS at 6,000 rpm and 108 Nm of peak torque delivered at 4,000 rpm. It is mated to a CVT transmission. 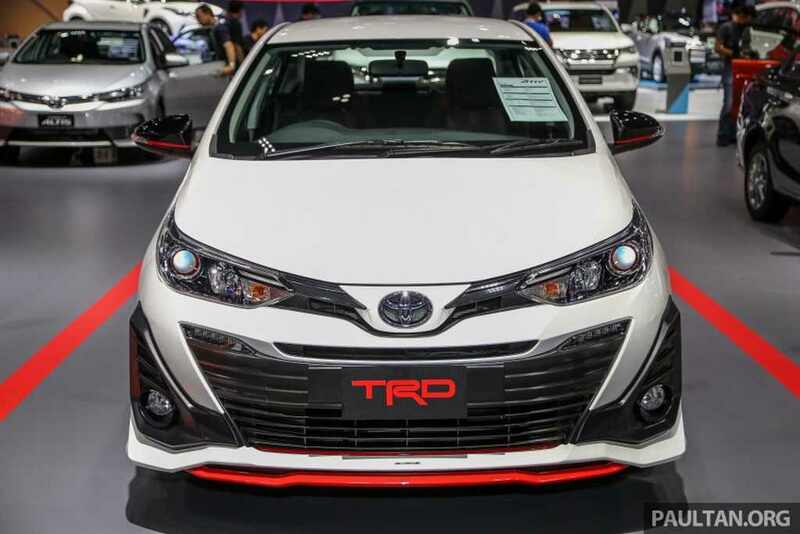 Malaysia could be the nest market to receive the same TRD kit on its existing Vios.